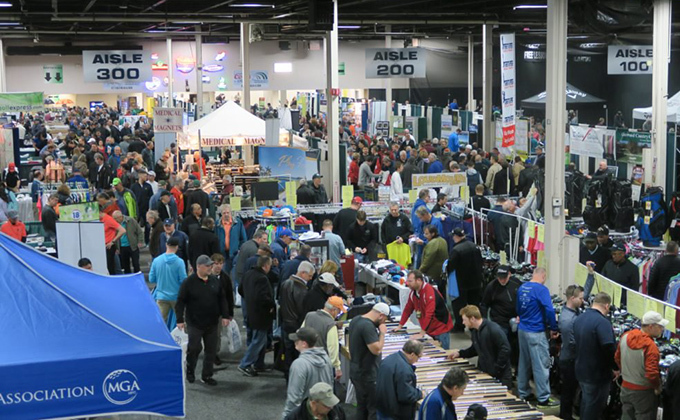 ELMSFORD, N.Y. (February 8, 2019) -- Met Area golfers looking to feed their golf appetite prior to spring will get the chance, March 1-3, when the New Jersey Golf and Travel Show returns to the New Jersey Convention and Expo Center in Edison, N.J. Attendees can expect exhibitors from all facets of the golf industry and will have the opportunity to enjoy a number of activties and features, ensuring there will be something of interest for everyone. The MGA will stand among the exhibitors, as MGA staff look to connect with MGA members and area golfers. Popular activities returning to the show include the Manufacturer's Demo Range where golfers can try the latest equipment, the Celebrity Stage that offers educational and entertaining presentations, free PGA Instruction from area PGA Professionals, and the Long Putt Challenge. Attendees can also test their skill with the Long Drive Championship, or take part in new activities like the short game testers "Pitch to get Rich" and "Golf Darts." Also new in 2019 is the Golden Tee Lounge. The show will run from 11 a.m. - 5 p.m. on Friday, March 1, from 10 a.m. to 6 p.m. on Saturday, March 2, and from 10 a.m. to 4 p.m. on Sunday, March 3. Admission is $10 in advance (prior to Feb. 22), or $12 at the door with free admission for children 12 & under. Parking is free.